It was fitting that Coleman delivered the match sealing kill that gave the Vikings the 25-19 win in game four, as the senior tallied 22 kills for the match to go along with 18 digs. She caught fire after the Wolverines took the first game. “The passing was much better, the serving was better, and Bri Coleman was unstoppable tonight,” said Valencia coach Ray Sanchez about his team’s response to the game one loss. Never trailing in game two en route to a 25-20 win, the Vikings (17-12) wouldn’t face adversity again until they found themselves down 12-8 in the third frame. After a timeout to regroup, Valencia went on a 17-4 run to turn the tables on Harvard-Westlake, winning 25-16. The Vikings were led by Kaelyn White’s 23 assists and Kayla Konrad’s seven blocks. 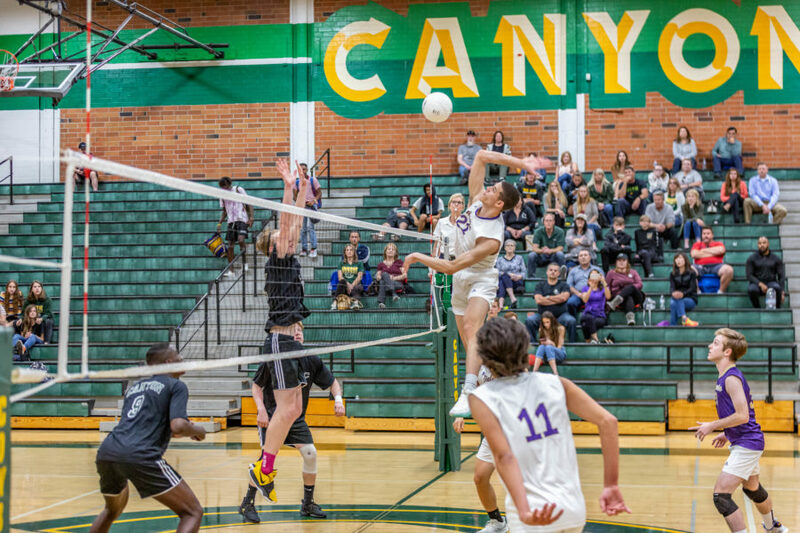 The West Ranch Wildcats’ successful season came to an end on the road Tuesday night in a 3-0 sweep by the Agoura High Chargers. The game scores were: 25-21, 25-22, and 25-22. The Wildcats went 18-7-1 overall and 9-1 in Foothill League to claim a share of the program’s first-ever Foothill League title with Valencia. Stats weren’t immediately available. Hart lost in three games on the road to Marlborough, 25-11, 25-17, 25-22 in the first round of Division 2 playoffs. Hart’s Ashley Cosey had 12 kills and Madi Fay had 22 assists. The Indians finished the season with a 12-9 overall record and a 5-5 league record. They tied for third in the Foothill League with Saugus. Division 3 Saugus High fell to Sunshine League champions Notre Dame Academy of Los Angeles in three sets: 26-24, 25-15, 25-16. Saugus’ Grace Ferguson had nine kills and Gabby Schiesser had 20 assists and 10 digs. The Centurions’ overall record for the season was 16-16.